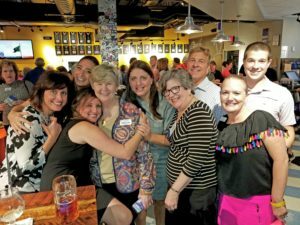 SSA’s 2018 Oktoberfest was held on October 3rd at Port City Brewery. This annual fundraiser supports SSA’s programs and services for Alexandria seniors, including our Senior Nutrition Program (which includes Meals on Wheels and Groceries to Go), Friendly Visitor Program, AniMeals on Wheels, and our educational programming. For more information and to see our list of sponsors, click here!